Exclusive! What were we talking about? 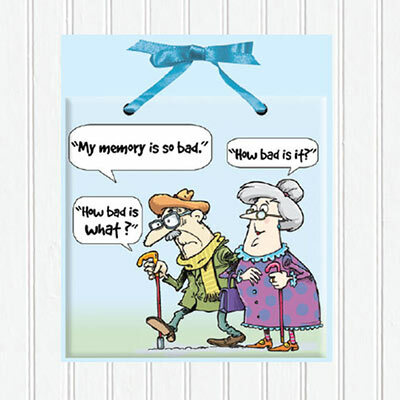 Oh yes, this funny, true-to-life saying captures an all-too-familiar sentiment! Our ceramic Memory Plaque comes with a coordinating polyester ribbon for hanging. Imported. 6" sq. Hurry! Quantities are limited!